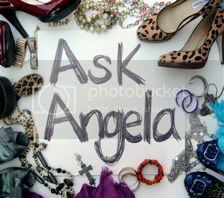 Stilettos & Grace: Sassy Shoe Thursday: Q&A with an Expert! She did this really great post answering questions we have about shoes and how they're made. So, seeing as how today is Sassy Shoe Thursday, I thought I'd pass this along to you! Just hop on over to her amazing Q&A post and become a smarter you. Oh! And what is that? My question is the first one answered?